On January 31, Washington State regulators approved Intermax Networks to be classified as eligible telecommunication carrier (ETC) in parts of Spokane County as part of the expansion of service from the FCC award. The funding, provided through the Connect America Fund Phase II, will make it possible to increase high-speed internet access to rural areas of Washington state. 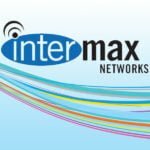 As one of the four newly approved companies in parts of Washington State, Intermax Networks will receive annual funding that will allow us to provide fixed wireless and VoIP services to homes and businesses in Spokane County. Click here to read the full article as posted by the Washington Utilities and Transportation Commission.